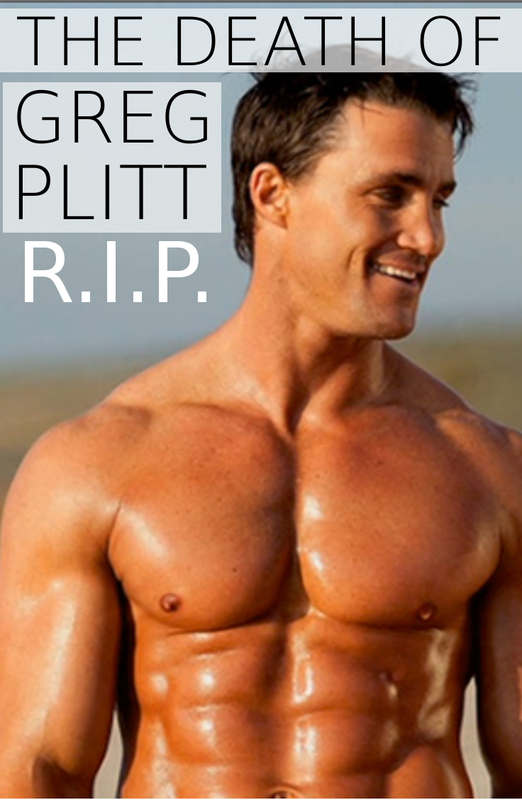 HASS FITNESS: GREG PLITT DEATH R.I.P. Investigators in Southern California are trying to figure out who told fitness model and Bravo reality star Jr. that he could shoot a video on a busy train track, where Plitt was struck and killed by a passenger train Saturday. Plitt, 37, whose real name was George, was being videotaped by two men on the tracks north of the Burbank train station Saturday afternoon when he was hit by a Metrolink train, according to Burbank police. Investigators have ruled out suicide, and apparently Plitt had shot workout videos on railroad tracks before. But how and why did he and his companions get into a restricted area of the tracks? Police have interviewed witnesses who saw Plitt standing on the track even as the train's horn was blaring, Burbank Police Scott Meadow told the Associated Press. It's possible Plitt thought the train was on a parallel track, Meadows said. "It's like a blind turn," he said. "When the train came, you might not be able to tell which set the train is on." Reality TV fans and members of the fitness were mourning the loss Plitt is best known for appearing on Bravo's reality series Work Out. His episode on Bravo's new seriesFriends to Lovers is a few weeks away. Plitt "was as nice as he was beautiful," tweeted Andy Cohen. "We couldn't take our eyes off Greg Plitt after we cast him on Work Out. ... (He) seemed invincible, like," wrote the Bravo producer. Over the last 8 years, Greg Plitt – actor, model, entrepreneur and motivational speaker – has appeared on over 250 fitness magazine covers and is undisputedly America’s #1 male fitness model. Plitt has broken fitness-modeling records by being on a fitness magazine cover every month in a row for an impressive 5 years straight. Plitt has been a sponsored athlete for MET-Rx®, engineered nutrition, Under Armour Performance Apparel and Gold’s Gym. He has starred in over 25 national commercials for brands including Old Spice, Dodge Ram Trucks, ESPN, Under Armour, MET-Rx®, as well as numerous infomercials. Greg can be seen on the big screen in ‘The Good Shepard’ with Robert DeNiro, ‘Terminator Salvation’ with Christian Bale, ‘Grudge Match’ with Sylvester Stallone and ‘The Watchmen’ where he was the iconic body of Dr. Manhattan. Greg has also appeared on a variety of television shows including Bravo’s ‘Workout’, HGTV’s ‘Designed to Sell’, NBC’s ‘Days of our Lives’ and WE’s ‘Mystery Millionaire’. Plitt’s crossover appeal from the fitness world to fashion industry has landed him as the face of the worldwide fragrance campaign for acclaimed fashion designer, Thierry Mugler’s Angel Men and Ice Men. Plitt has also worked with brands on a wide breadth of platforms from product launches and fashion campaigns to marketing and advertisings for products including men’s underwear to automotives. In addition to his modeling and acting career, Plitt has launched many successful businesses. As a serial entrepreneur, Plitt’s initiatives have turned into numerous products that net over millions each. Two products launching later in 2014 are Metaball, a multi-functional exercise and body transforming tool touted as “An Entire Gym in A Ball” and Whey Up, a protein and energy packed beverage supplement. As a motivational speaker, Plitt travels the globe on speaking engagements to crowds of thousands. Prior to his entertainment and entrepreneur career, a graduate of West Point, Plitt served as a U.S. Army Ranger, United States Military Academy graduate, was a former Company Commander in charge of over 180 soldiers, a two-time All- American and three-time state champion wrestler, professional skydiver with over 2,500 jumps and a golf club champion with a four handicap and hole in one to his credit. Career accolades include being named one of the “25 Fittest Americans” by Men’s Fitness Magazine alongside Will Smith and President Obama, “One of America’s Most Eligible Bachelors” by the syndicated television show EXTRA and “One of the 60 Sexiest Men Alive” beside Daniel Craig and David Beckham by DNA Magazine. In addition, he won “Best Male Physique on TV” for the Star Physique awards, which recognizes and honors high-profile individuals in the Martial Arts, Bodybuilding, Fitness, and Television industries for their accomplishments and the inspirations in health, fitness and wellness. Body buildo is a height increment powder that much helps to those people who are dreaming for gaining the approximate height. Step up height increaser really works on removing extra fat and provides extra height growth.